Our team of attorneys, paralegals and assistants has more than one hundred years of combined experience in the field. Due to our small size and focused representation we are able to deliver extraordinary personalized service to both individuals and corporations. Although our primary focus is on employment based immigration, we also service individual family based immigration and handle removal work for deserving cases. We have successfully petitioned for athletes, entertainers, outstanding researchers and those possessing extraordinary ability in the sciences, arts, and business. Lee & Peynado Immigration Law Group provides the legal representation you need to walk you through the process for asylum. 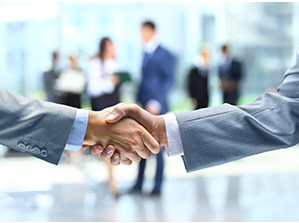 We are able to assist the movement of employment in the United States from other countries. Lee & Peynado Immigration Law Group walks you through the process for citizenship and naturalization in the U.S.
Our attorneys are well equipped to guide you as our client as we go through your deportation and removal case together. Lee & Peynado Immigration Law Group is fully able to aid you in the family immigration process while explaining each step we take together along the way. We can help you understand which visa category is right for you as well as help you with the entire non-immigrant process. Let our experienced legal team guide you through the process of obtaining temporary and permanent visas.